A forever favorite of Matilda Jane fans everywhere, our Big Ruffles are quite beloved! Designed to be a bit fancier – and a whole lot more fun – than your basic bottom, our super-soft Big Ruffles give her the unmistakable swish of a skirt with the play-all-day comfort of a pant. 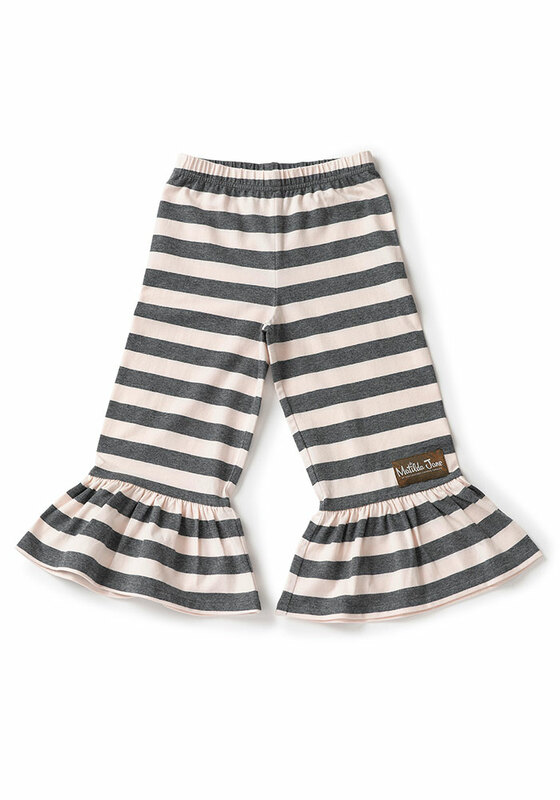 These pale pink-and-grey-striped bottoms are perfect for mixing and matching with all her MJC favorites.